a step towards the unexpected. bad chocolate cheesecake and a letter from the queen. The other day when I was sifting through the post, there was an envelope to Chloe. It was good paper. I opened it just in case Chloe had somehow come into millions of pounds. Turns out she hasn’t. But it was still very very cool. It was from Queen. 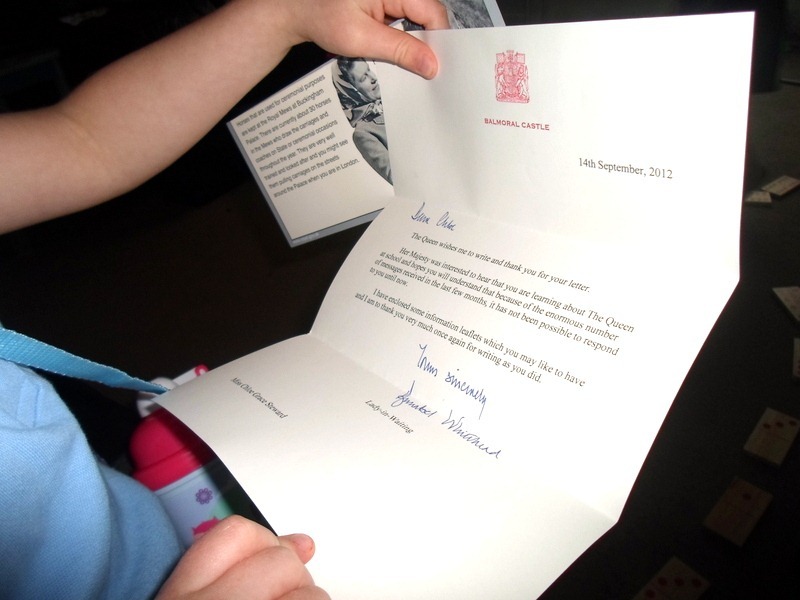 Well not exactly from the queen, it was from one of her ladies in waiting. 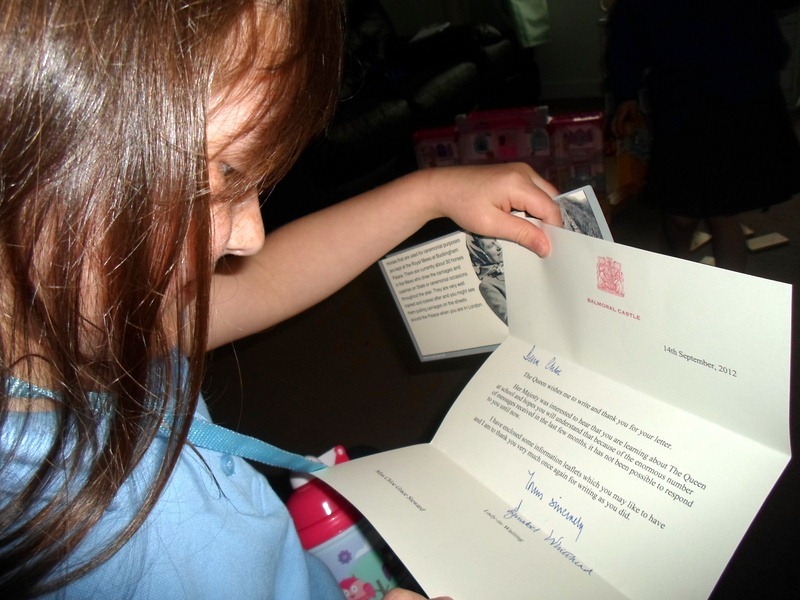 Back in the Spring Chloe wrote a letter to the queen in celebration of the Jubilee. 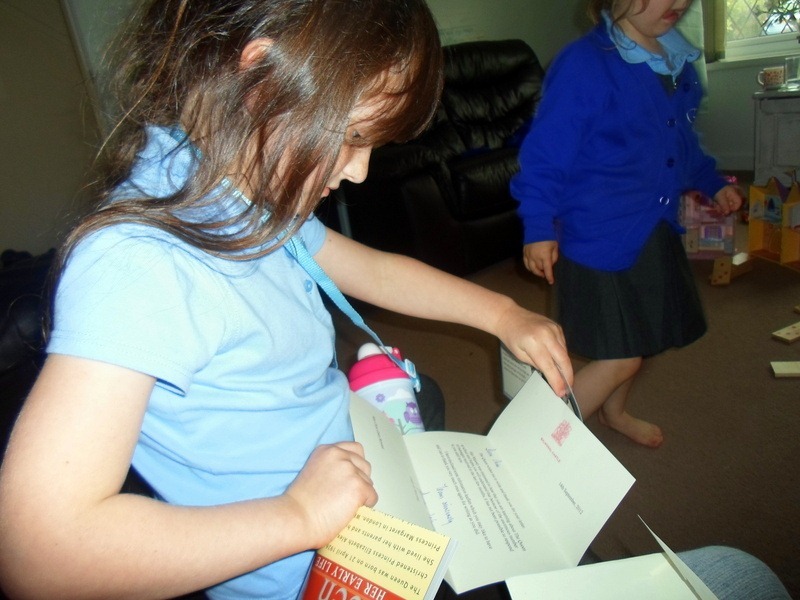 This letter was thanking Chloe for writing. That is pretty cool, right? The changes I’ve made to my eating habits is taking some getting used to. The meals are fine – I’m not going hungry. But I’m seriously craving sugar. Chocolate. Sweets. Cake. I didn’t realise how much sugar I was consuming until I had to cut right down. Cadbury’s Curywurlies are a lifesaver but there are only so many so can eat over time…! I browsed through all of Slimming Worlds recipes online and bookmarked a load of promising recipes that might curb these cravings. The first one I tried was a chocolate cheese cake. The ‘syns’ (extras you’re allowed) were well within a day’s allocation and it looked amazing. Surely it was too good to be true! I gathered all the ingredients together and gave it a go. It looks way better than it tasted. 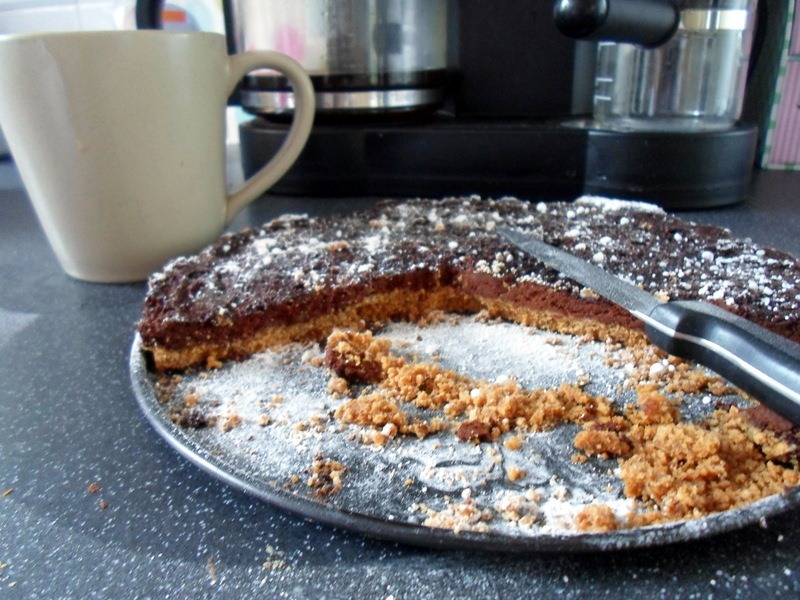 I needed to add more margarine to make the biscuit base stick together, and there was a ridiculous amount of cocoa power in it, making it way too bitter. there is potential and I’m going to play around with it – I’m determined to make it work! Next on the list is a cupcake recipe. A girl needs her cake! I lost 1.5lb the first week, and I’ve just been to get weighed and I’ve lost another 2lb this last week. Slowly but surely, I’m heading towards a healthier weight. Why do I put that out there? Accountability. If I keep this stuff to myself it would be way easier to just let myself go, one cream cake at a time. I want to be a stone down before Christmas so that means pulling out all the stops, until I can start to exercise again. Yeah. I never ever thought I’d be chomping at the bit to exercise. What is this world coming to?